I modified cmomoney’s pose player to allow babies to use it and created a test pose to try it. 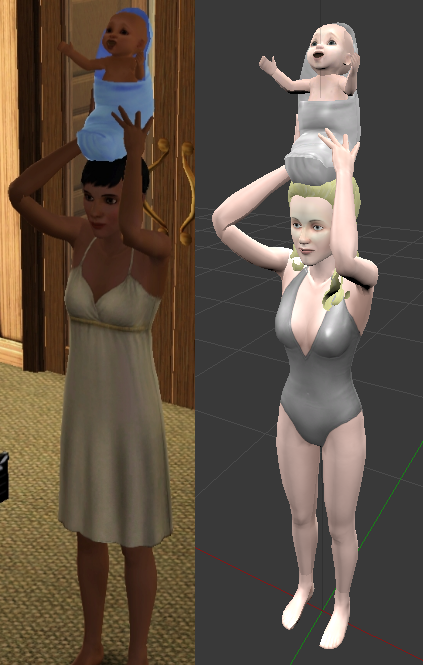 Above is a picture of a test pose in-game and in blender. The link below is a zip file with the test poses that I made, a2b_soc.blend(a rig setup with an adult and a baby), and the modified version of cmomoney’s poseplayer for anyone interested in testing. If you want to test your own poses, you can use buRig.blend or a2b_soc.blend. Testing EA poses with the pose player don’t always work very well since the baby is usually being held by a sim, which means they are rotated in a way that won’t look right if you get the baby to use the pose player from the floor. 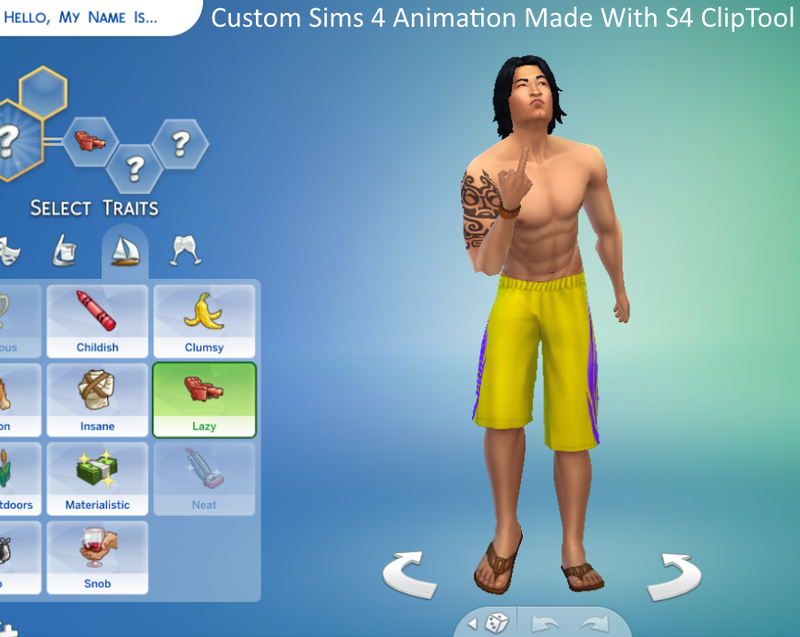 You will need to replace the cmomoney_PosePlayer.package in your mods folder with the one in the zip file to allow babies to use the pose player. You can backup the original just in case. If all goes well, I will talk with cmomoney about incorporating this pose player change into the official download when he returns.